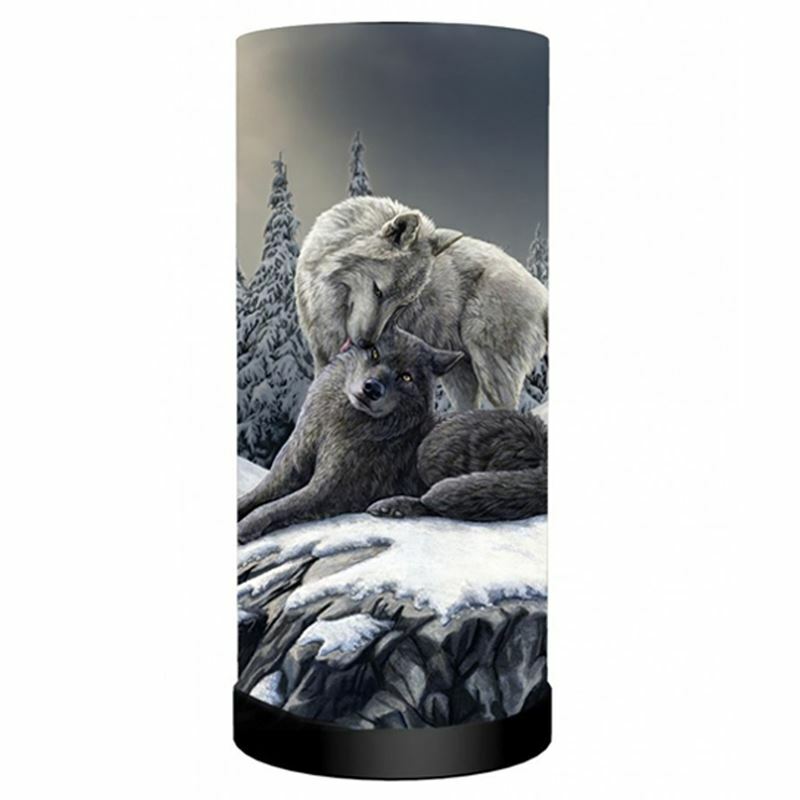 Beautiful cylindrical table lamp designed by renowned fantasy artist Lisa Parker. Image to front and back of white wolf tenderly licking a grey wolf with snowy mountain scene behind. Inline on/off switch. Supplied with UK plug. Takes a small screw in golf ball bulb (not included). Multi item shipping discount on all EU & Rest of World orders. 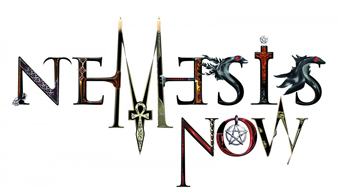 For our UK customers, we offer FREE shipping on all our products! We are always happy to accept returns as long as the item has not been worn (except for trying on) and is returned with any tags securely attached and original clear packaging (if possible but not essential). Our return period is 30 days from date of purchase. We will enclose a form with your item that contains the returns instructions. If this form is missing, please email us at email and we will email one to you. Our returns procedure is very easy - simply fill in the important bits on the form, cut out the returns address and send back with your item. For customers outside the EU, please email us for return instructions. Please take your items to the Post Office (as per instructions attached). If the Post Office refuse to accept your items due to weight restrictions then please take your parcel home and then email us at [email protected]. It is important you do not pay any postage costs as we will be unable to refund them back. Once we receive your email we will tell you how to proceed. If you wish to exchange your item for another size, please email us at email, quoting your order number, and we will get back to you with the further details. Please note Tiger Milly do not hold other Merchant sellers stock. Therefore if items bought from another Merchant seller (i.e. not Tiger Milly) are returned back to Tiger Milly, we will have to deduct postage costs from your refund to cover the cost of forwarding that item on to the other seller you bought from. Please understand we can not be held responsible for any items that are lost/stolen when posted by us to other Merchant sellers.